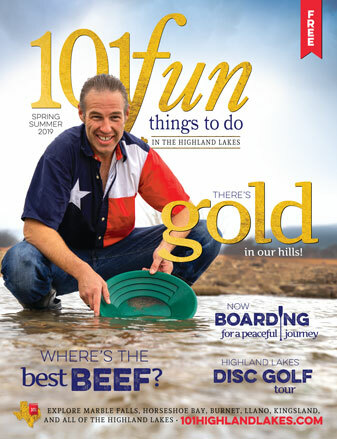 You don’t have to go far to find outdoor adventure and excitement in the Highland Lakes. Check out the plethora of parks available nearby. • Badu Park, 300 Legion Drive in Llano — Nestled along Lake Llano near historic downtown Llano, the park includes a sandy beach and swimming area, nature trails, a playground, restrooms, picnic areas, barbecue pits, a splash pad, and small boat access. There are also places for RVs. Go to cityofllano.com or call (325) 247-4158. • Cottonwood Shores Community Park, 4111 Cottonwood Drive in Cottonwood Shores — This city park features a splash pad so kids can escape the heat while parents hang out nearby. 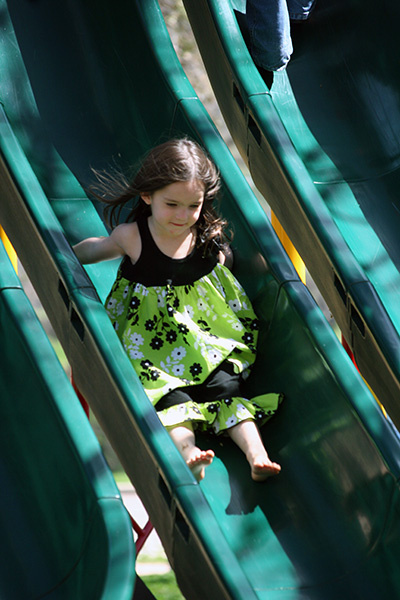 The city also maintains Aspen Park, 4101 Lakeview Drive, and Noah Thompson Park, 4131 Lakeview Drive. • Galloway-Hammond Recreation Center, 1601 S. Water St. (U.S. 281) in Burnet — The center is managed by the YMCA of the Highland Lakes, but there’s a bunch to do outside, including a disc golf course, a splash pad, a nature trail, sports fields, and an RV park. The YMCA of the Highland Lakes has an indoor swimming pool as well. Go to cityofburnet.com or ymcagwc.org. • Haley Nelson Park, 301 Garden Trails in Burnet — You’ll find a disc golf course, hiking and walking trails, a picnic pavilion, and an amphitheater at this 51-acre park. Go to cityofburnet.com or call (512) 756-2402. • Hamilton Creek Park, located off U.S. 281 and Texas 29 in Burnet — Stroll along the banks of Hamilton Creek and enjoy a picnic in this city park. It also has a walkover bridge, fountains, and a playground. Go to cityofburnet.com or call (512) 756-2402. • Johnson Park, 230 Avenue J South along Backbone Creek in Marble Falls — The city park has a sand court for volleyball, a boat ramp, two children's playscapes, an off-leash dog area, shade trees, and horseshoe pits. An open pavilion is available, and restrooms are on site. Go to ci.marble-falls.tx.us or call (830) 798-6250. • Lakeside Park, 307 Buena Vista Drive on Lake Marble Falls — The city park features picnic tables and a pool. Lakeside Pavilion, a large venue operated by the city, can be used for anything from weddings to corporate retreats. Go to ci.marble-falls.tx.us or call (830) 798-6250. • Pace Bend Park, 2501 Pace Bend Park Road North in the Travis County part of Spicewood — The park is ideal for picnicking, sunbathing, hiking, fishing, camping, mountain biking, and horseback riding. There are also primitive and improved campsites plus picnic tables, two boat ramps, and restrooms. Entrance fees. Call (512) 264-1482. • Quarry Park, 2221 N. Phillips Ranch Road in Granite Shoals — This park wraps around Granite Shoals City Hall, but it’s a great place for a walk or bike ride. The main trail, Manzano’s Hike, Bike & Run Trail, takes its name from Olympic silver medalist and former Granite Shoals resident Leonel Manzano. There’s even a little pond tucked inside the park. You can also watch birds and wildlife. This is one of many parks you can explore in Granite Shoals with several offering lake access. Go to graniteshoals.org. • Robinson City Park, located on RR 152 along the Llano River about 2 miles west of Llano — The city park sits on 5 acres with grills, picnic tables, and restrooms. While a boat ramp is on site, motorboats aren't allowed. Other activities include volleyball, half-court basketball, a playground, hiking, fishing, bicycle and nature trails, horseback riding, horseshoes, and an 18-hole golf course next door. A pavilion and barbecue areas also are available with reservations. Go to cityofllano.com or call (325) 247-4158 ext. 202. • Wallace Riddell Park, located at the intersection of Texas 29 and Rhomberg Street in Burnet — Because of its picnic tables, a playground for children, and a baseball field, the city park is a big weekend draw. Go to cityofburnet.com or call (512) 756-2402. • Westside Park, 1610 Second St. off Avenue Q in Marble Falls — Take advantage of a playground, a full-size basketball court, picnic areas, a fenced-in dog park, and a disc golf course that's lured golfers from across the state. Go to ci.marble-falls.tx.us or call (830) 798-6250.